I'm Clint Larson and I'll be your Outfitter and your guide on most hunts. In addition to me, our team at Kispiox Valley Outfitters consists seasonally of 4 guides, Alex, Joe, Garret, Grahame, last but definitely not least is Julia, who expedites, cooks and helps me anyway she can throughout the year. We are a small company in an exclusive guide territory in excess of 4500 sq kilometers. We have multiple outpost camps throughout the area and can accommodate up to 6 hunters at a time on various hunts for species from mountain goat to moose to grizzly. We specialize in backpack mountain goat hunts but are very successful with other species as well. Book with us and rest assured that you're in good hands. Safety is priority and every guide is required to check in by phone or inreach every evening. We are an equal opportunity business, bonded and insured and members in good standing of the Guide Outfitters Association of British Columbia. Have a look at our site and please call if you have any questions. 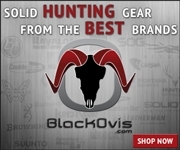 We'd love to hear from you and be the outfit to help you on your next hunting adventure. We have decided not to do any trade shows this year, instead we are focusing on our web page and internet sales. We are willing to travel and personally meet with you to discuss and finalize your hunt.